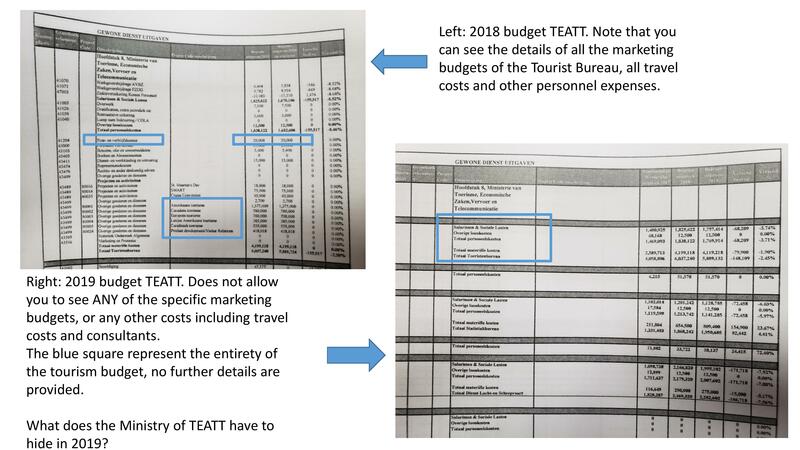 Philipsburg — The faction of the United St. Maarten (US) party on Tuesday said the draft 2019 country budget is rushed, even less transparent than the last, lacks detail and, with expedited scheduling, does not allow members of Parliament adequate time to review. The USP has dispatched two letters to the Chairlady of Parliament outlining its objections and seeking answers from the Minister of Finance to its urgent question regarding budget 2019. As such, the USP also is calling for a postponement in the scheduled Central Committee meeting of November 29 to debate the budget. “On Friday November 23rd, an email was sent to Members of Parliament containing a soft copy of the 2018 budget amendment and the draft 2019 budget. The email also contained a convocation for a debate of both these items to begin less than a week later. We have grave concerns with this, which mainly stems from the lack of time for reviewing the budget, the lack of transparency and details within the budget, and the possibility that the item debated is not the correct legal copy of the draft 2019 budget,” Faction leader of the USP MP Rolando Brison said. “Reviewing the National Accountability Ordinance, we can see that the law was designed to provide Parliament with close to 4 months to review and approve the budget, as the law highlights that parliament must receive the budget by the 2nd Tuesday in September. The same ordinance further states that focus of the budgetary effort should be to enable Parliament until the end of the year to approve the budget. In the spirit of that law, it is clear that parliament should not be rushed to handle the affairs of the budget, and should be afforded a chance to go over the budget with a fine tooth comb,” Brison said. To allow at least 2 weeks, ideally 4 weeks, between the times the documents related to the budget were received until the start of the debates on the topic. Insist that the Minister of Finance provides fully expanded budget document to Parliament, just as it appears to have been given to other institutions who have received the budget. This document should also be fully searchable as was requested and finally received by our faction in the previous budget debate. Verify with the council of advice that the document we have received is identical to the one that they have reviewed. “Our faction also has further questions to the Minister of Finance in a subsequent letter, which we would appreciate be answered before the start of the debate of the budget of St. Maarten. In any regard, we do not see it at all feasible to have the budget debate process begin on Thursday November 29th. We hope in consideration of the evidence presented, the Chair postpone the convocation until all of these matters are addressed,” Brison said. “We do understand that it has been a difficult budgetary year, however, to deviate so blatantly away from the law (+/- 4 days of review instead of 4 months) is far from ideal. The Council of Advice states in their recent presentation of the 2017 annual report that they require at least 4 weeks to review urgent documents, but even compromised this time and reviewed in just over 2 weeks per budget. At the very least, Parliament should be afforded the same amount of time that the council of advice has had before debating the budgets,” he added. With regards to details, Brison said throughout the budget, there are several items that are not given detailed breakdowns as was customary in previous budget 2018. He said it seems very strange to give less information in such an important, pivotal draft budget. 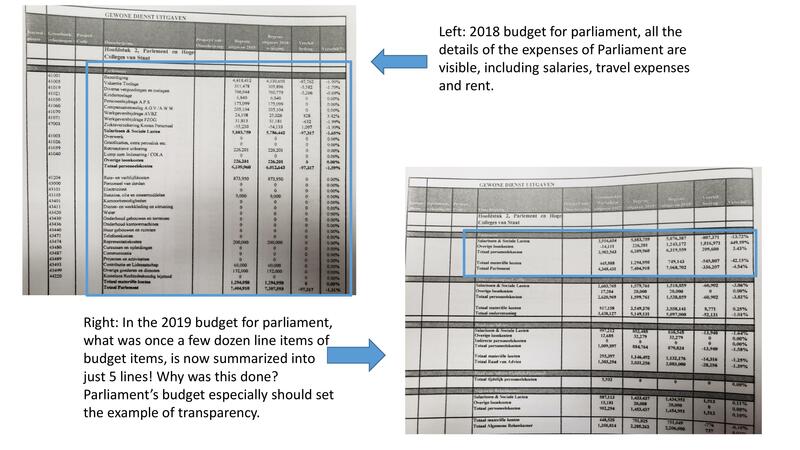 In its letters to the Chairlady of Parliament, the USP faction enclosed various examples where the lack of transparency severely hampers Parliament’s ability to see the crucial details of the budget. “While this may be countered by the Minister of Finance that “this was done before”, the last 2018 budget had much more detailed economic categories. Even the 2018 2nd budget amendment that you have proposed to be debated has much more details economic categories than the 2019 budget. But what makes this even worse, is the fact that it appears that the document as reviewed by the Council of Advice is actually different than the one submitted to parliament by the secretariat,” Brison said. He explained that the law clearly states that the budget reviewed by parliament has to first be reviewed by the Council of Advice. However, having examined the council’s advice on the budget, Brison continued, it is clear that they were privy to a much more detailed budget that what has been submitted to Parliament. “The council seems to refer to specific things in their advice that simply do not exist in the version of the budget that has been sent to Parliament. A good example of this is in their advice, they are able to deduce on their own that Ministers salaries have been cut by 10%. 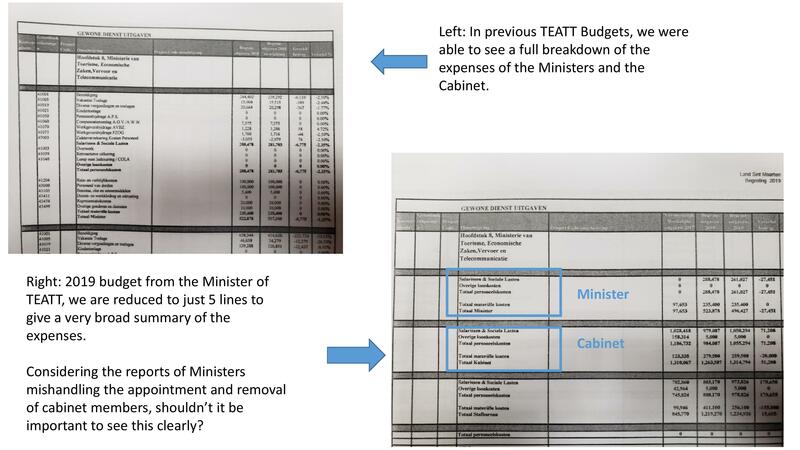 However, looking at IS351 containing the draft 2019 budget, due to the lack of detail per Ministry in the budget, it is totally impossible to calculate whether each minister has indeed cut their salaries by 10%. This is because only the total of each economic category are displayed at the end i.e all salaries per ministry are given as a total, rather than broken down per department,” Brison explained.